When closing a business, there are many steps which must and should be taken, and taking care of any tax obligations is right at the top of the list in order to prevent and issues from occurring in the future. The Canada Revenue Agency (CRA) has very specific guidelines regarding closed businesses so it’s important to keep those rules and regulations in site on the off chance that they may be needed. 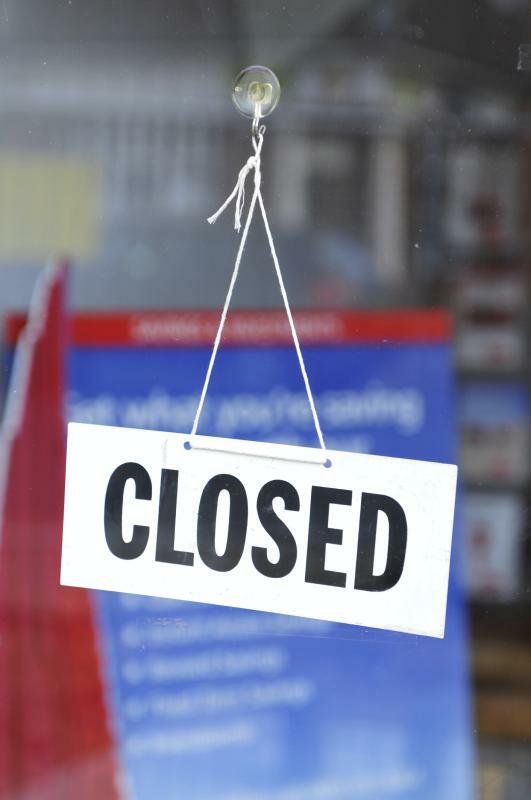 If you are planning to close your business – or if your business is forced to shut down due to external factors, there are a few things you should consider, such as notifying Canada Revenue Agency (CRA), filing a final tax return, paying any outstanding tax amounts, and financing your succession planning. When you decide to close your business (a sole proprietorship, a partnership, or a corporation) and no longer need your business number (BN), you have to complete certain forms before the account can be closed. Close the GST/HST account with the CRA – again making sure that the final GST/HST return has the end date reflecting the entity’s last day. This section is beyond important! Dissolving your corporation is the legal act of ending its existence. Regardless of the jurisdiction in which your business is incorporated, when the time comes to dissolve your corporation there are several factors to consider. In the same way you undertake certain formal procedures to create a corporation, you must file forms with the appropriate governments to dissolve it. If your business is registered in Ontario, for example, you can give notice of closing with the CRA, the Ministry of Government Services, the Ontario Ministry of Revenue and the Workplace Safety and Insurance Board with a single notification through the Service Ontario Change of Business Information Service. Within seven days of closing your business, you must remit all outstanding payroll deductions from your employees’ wages to the CRA, along with all outstanding pension contributions (CPP/QPP) and employment insurance (EI) premiums. You have 30 days to complete and file any outstanding T4 or T4A slips and summaries of pension, retirement, annuity or other income due to your employees or others related to your business. Your business collects the GST/HST taxes, holds them in trust and periodically forwards these payments to the CRA. If your annual revenue is less than $1.5 million, you remit funds annually. From $1.5 to $6 million you pay quarterly, and above $6 million you pay monthly. In all cases, you must account for and pay any outstanding GST/HST amounts to the CRA immediately after closing your business. When doing so, you must make two separate calculations, one for the amounts owing on non-capital property and another for the amounts owing on capital property. Capital property generally includes most investments, including land and buildings. Non-capital property includes all other kinds of commercial goods and property. In some instances, there is an investment tax credit recapture due when the business closes. GST/HST provisions and ITC recapture requirements are discussed in greater detail in CRA publication, “Close my GST/HST account.” Note that in provinces with a GST, there may also be provincial or retail sales taxes taxes due. Every registered Canadian business must file a dissolution notice at the time of closing. Sole proprietorship’s and partnerships file a “Dissolution or Change of Proprietorship (or Partnership)” form with the provincial Corporate Registry office. Corporations file an “Application for (Voluntary) Dissolution” with the provincial Corporate Registry office, and must also file a final corporate tax return along with a copy of the corporate articles of dissolution with the CRA. If a corporation fails to complete these filings, the CRA will require corporate filings in one or more subsequent tax years, even though there is no income to declare. As well, any future CRA tax debt may be added to the corporation and if not dealt with, could result in the CRA raising Director’s Liability against the directors, or the raising of a s.160 / s.325 non-arm’s length assessment to re-capture any dividends paid out while money was owing to the CRA. References: Sheryne Mecklai, CPA, CA; Manning Elliott LLP; Vancouver, B.C. What is a Business Number? How do I Know if I Need One?